The affordable TCL 6 series has excellent overall image quality, with deep black levels, very good brightness, rich contrast and accurate color. Its Roku smart TV platform is the best available, with a simple interface and extensive streaming app support. The TV handles both HDR10 and Dolby Vision high dynamic range sources. The LG C7 is tied with other 2017 OLEDs as the best performing TV we've tested to date. It delivers perfect black levels, wide viewing angles, accurate color and a great bright-room picture. It's compatible with both major HDR formats, and HDR image quality is better than last year. Its striking design features a super-slim panel. All TV producers are improving their TV experience, including Sony, LG, Panasonic, LG, TCL, etc. 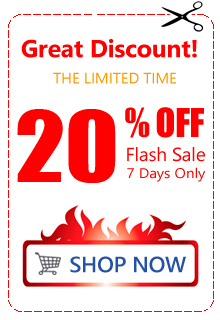 We can easily experience exquisite pictures and many interesting functions. In this post, I'll share two ways to play Blu-ray movies on Samsung, Sony, LG, Vizio, LG, TCL, Sharp, Panasonic, Smart TV. Nowadays, Samrt TV has become very popular thanks to its High-Definition resolution, and with the development of modern technology, the price of Samrt TV is getting lower and lower, and the screen size of Samrt TV is getting larger and larger. Watching Blu-ray on large-screen Samrt TV is definitely enjoyable. Therefore, here comes a question: how to play Blu-ray on Samrt TV? Such as TCL 6 series (2018 Roku TV), LG OLEDC7P, LG OLEDC8P, Vizio M-Series, Sony XBR-A1Eseries, Samsung Q8 Series, Vizio P-Series, Sony XBR-X900F series, Vizio E series 2017 (60- to 80-inch), TCL S405 series Roku TV, etc. 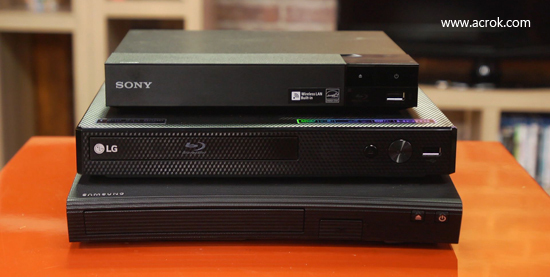 This guide is going to introduce two ways for you to watch Blu-ray on any Smart TV. One is to connect a Blu-ray player to the Smart TV. The other is to convert Blu-ray to Smart TV supported format. Connecting Blu-ray to TV is a traditional way to play Blu-ray on TV. The same method applies to playing Blu-ray on Smart TV, which means you can connect a Blu-ray player to Smart TV to create an Smart TV Blu-ray combo for playing Blu-ray on Smart TV. Before we connect a Blu-ray player to Smart TV, it is better for us to figure out why we need to connect a Blu-ray player to Smart TV. There are mainly two reasons. Take a look below. - Watching Blu-ray movies is a popular pastime in many households. If that's the case in your home, you obviously want them to look as good as possible. - Many newer Blu-ray players can upconvert the video signal before they send it to your TV, transforming it to a resolution that more closely matches your screen's. Although an upconverted picture isn't true high-def, it usually delivers a noticeably improved image. And to see that upconverted signal, you'll usually need to make an HDMI connection to your TV. Now we can start to connect a Blu-ray player to Smart TV. If you opt for HDMI, you may be able to pass both your audio and video signals via a single cable. On the other hand, if you choose component video, S-video, or composite video, you'll need to make an additional stereo RCA audio connection to your TV. To hear the Dolby® Digital and DTS® surround sound encoded on most Blu-rays, you'll need to make a digital audio connection to a home theater receiver. Depending on your Blu-ray player's and receiver's available connectors, you'll probably want to use either an optical digital or coaxial digital audio connection. After connecting Blu-ray to TV, you can start to play Blu-ray on your Smart TV in an easy and convenient way. On the other hand, you can play Blu-ray on Smart TV by converting Blu-ray to Smart TV playable video. To convert Blu-ray to Smart TV compatible format, you need to make use of a Blu-ray to Smart TV converter. Acrok Blu-ray Ripper can help you well convert Blu-ray to Smart TV. If you Mac users, please switch to its Mac version - Acrok Blu-ray Ripper for Mac for help. Download and install this Blu-ray to Smart TV converter on your computer, and follow the guide below to convert Blu-ray to Smart TV. 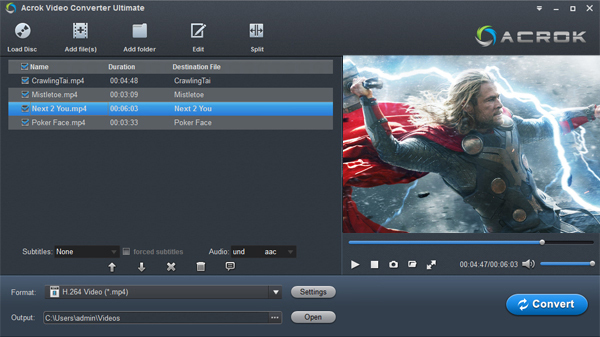 Run Acrok Video Converter Ultimate to enter the main interface, where you need to click "Load Disc" to import Blu-ray disc content. Of course, you are required to insert Blu-ray disc into computer's Blu-ray drive beforehand. In addition to Blu-ray disc, Blu-ray folder can be imported as well. 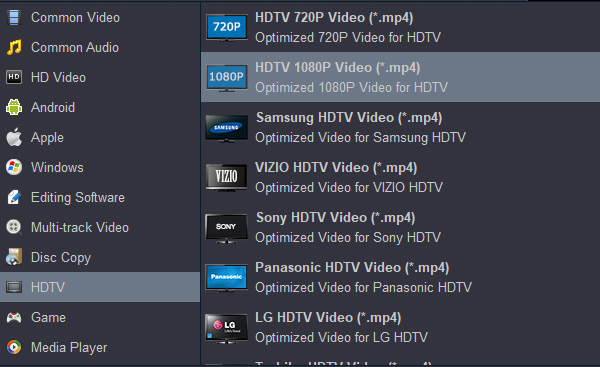 After the loading of source Blu-ray content, click the drop-down box next to "Format" button and choose "HDTV" to enter the Profile panel where you can choose "HDTV 1080P Video (*.mp4)" or select TV brands directlt, the most common formats playable on your Smart TV. Tip: Tap "settings" to customize the output parameters - adjust the video size, bitrate, frame rate, audio sample rate, audio channel, etc to get a decent video for watching on Smart TV. If you want to get 5.1 surround sound, you can select "5.1 Channels" as output. Click the "Convert" button to set an output directory on a pop-up sidebar, and click the other "Convert" button at the bottom of the sidebar to start to convert Blu-ray toTCL 6 series (2018 Roku TV), LG OLEDC7P, LG OLEDC8P, Vizio M-Series, Sony XBR-A1Eseries, Samsung Q8 Series, Vizio P-Series, Sony XBR-X900F series, Vizio E series 2017 (60- to 80-inch), TCL S405 series Roku TV, etc. After the converting process is completed, you need to transfer the converted video file from your computer to the Smart TV. The most traditional way of transferring data is using a USB, and of course, in this case, a USB drive can be employed to do the task for you. Just enjoy the Blu-ray movies on your large-screen Smart TV!